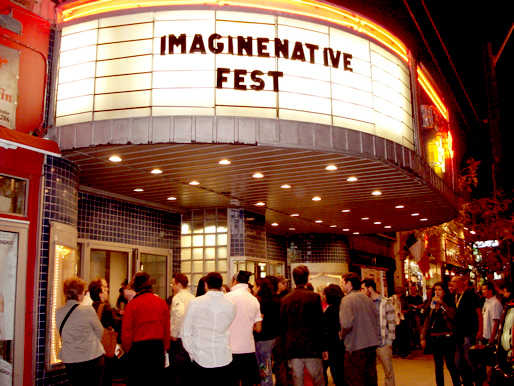 As an official Media Sponsor of the 2010 imagineNATIVE Film + Media Arts Festival, MEDIA INDIGENA is delighted to share with you an exciting opportunity for all you budding young Aboriginal journos out there. CBC.ca and imagineNATIVE are seeking an Aboriginal youth intern to write about their experiences over the course of the 5-day festival (Oct. 20-24) in Toronto, ON. The selected individual gets to work directly with selected mentors from CBC and MEDIA INDIGENA as they provide on-line coverage of festival events. The selected intern will also be paired with a CBC.ca staffer who will oversee and edit their work, to be posted daily on CBC.ca/arts and CBC.ca/aboriginal. To apply, send your personal bio plus a one-page explanation of why you should be selected as the imagineNATIVE Correspondent for CBC News. Also include your resume/CV outlining your experience in journalism and/or film, along with a .jpg image of yourself. Your complete contact information (email, mailing address, phone number) as well as your Indigenous affiliation, must also be included. For further information about this opportunity, contact Kerry Potts at kpotts@imagineNATIVE.org or (416) 585-2333.